Meet up at a mysterious location in Santa Anita and find a selection of S2000s already there. An R32 GTR, NSX and Solora (Yes, Solara) arrive soon. What Spirit of Japan is is basically a shop that sells a ton of classic Nissan and Nismo and general JDM stuff. A few minutes in and the barbecue comes out. We eat a quick breakfast and hop on the 10 freeway heading towards PCH. Some S2000 shots. This blue was gorgeous! 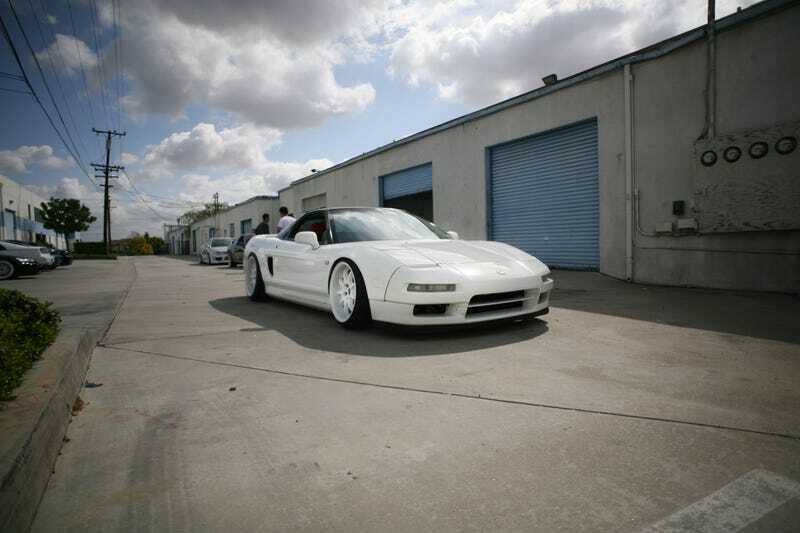 The NSX looked ridiculously good, epecially with how low it was riding. We hit traffic a bit further down, but it’s no big deal when you’re with so many cool cars. As we headed into Santa Monica...bonus Westfalia! As we hit PCH, this gorgeous Defender 110 swerved into our lane and nearly hit us, but all is forgiven. You can’t get mad at a Defender owner. This 911 SC rolled with us for a couple of miles, but I was only able to grab one shot. We stopped by Neptune’s Net and encountered a couple of Bentley Bentayga test vehicles. The one in front of this had “Nein ESP” on the dash. We stopped a little further up to swim, but the beach was way too rocky, so we moved on. As we were getting ready to leave, this Dino drove by! Then once again, the other way. These are the last few pictures I have before we ended up stuck in traffic in Santa Monica.